We are raising 2 active boys and they attend Frisco ISD. We know all too well how important it is to have healthier options within easy reach throughout the day. Healthier snacks and beverages help our children stay energized, focused and happy! With the delicious array of options available to them in the hallways, near the gym, or outside the cafeteria or library, you can be assured they will appreciate and use these great choices! And, our products meet USDA Smart Snacks in Schools guidelines and mandates. These totally cool machines are FUN, super easy to use, and engage young minds with digital screens identifying product choices. Want to LINK purchases with MyPayments Plus or alternatives students use? Let us know! And yes, faculty and staff may want their own machine. 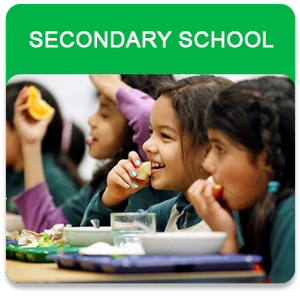 We’ll work with your school to identify the best locations and placement so healthier and delicious snack and beverage choices are available for everyone. Need to raise money for the athletic department? Band uniforms? Fund a student led initiative or teacher appreciation week? We can partner with your school and link a portion of every purchase to a fundraising cause or event. Talk to us today!